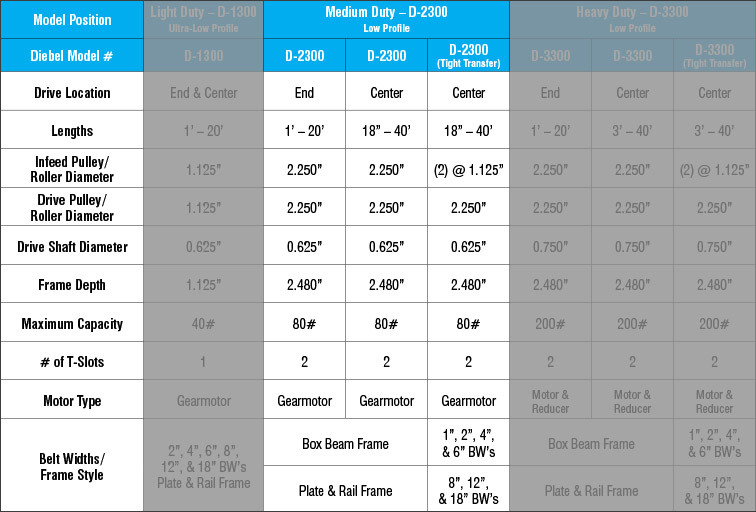 The D-2300 is a medium-duty conveyor that is ideal for automation applications. 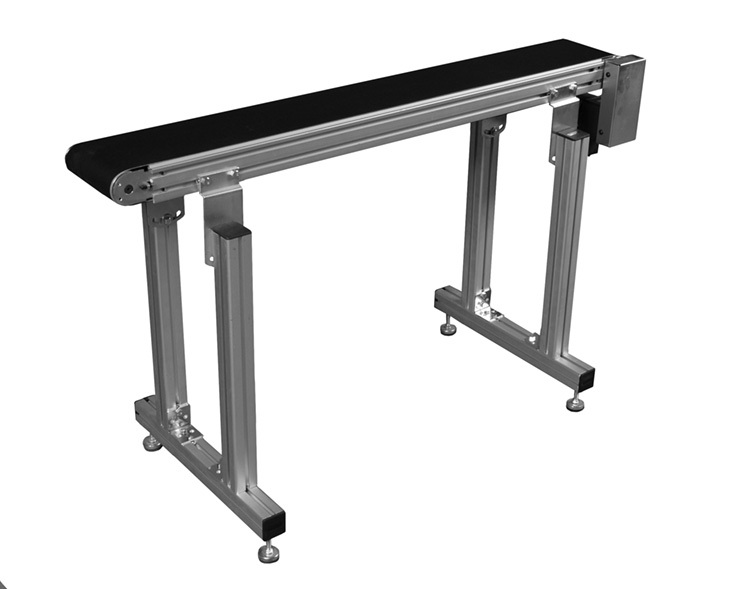 The dual slot aluminum frame allows easy mounting and movement of rails, sensors and supports. All other parts are zinc coated or can be made with an optional 304 2B stainless steel. Both offer a durable maintenance free finish. This unit comes with a 2 ¼” drive and infeed pulley’s or can be configured with the Tight transfer end for those hard to convey small parts.